Secure your portable canopy against light wind with these 5lb. leg weight plates. Simply place one weight plate over each foot of the canopy. 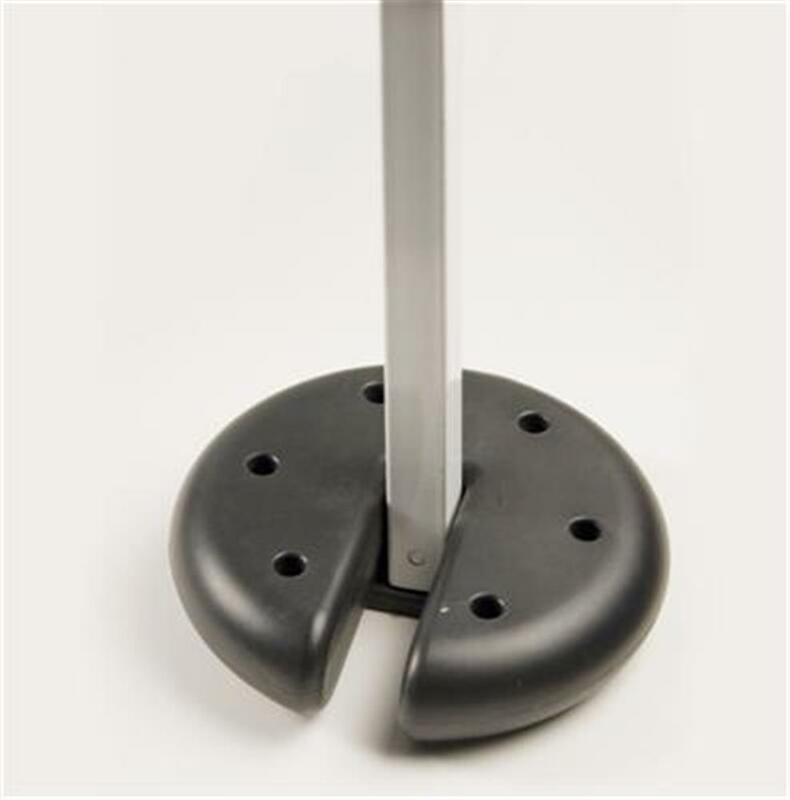 These weight plates also work very well when the canopy is on concrete or asphalt and you are not able to drive stakes into the ground; saves damage to the ground or your driveway. Weight plates come in a set of 4 and will work with Quick Shade and E-ZUP Canopies as well as many others.